Steve Rice (Olympia, United States) on 10 November 2017 in Plant & Nature. This is "Maitohorsma" in Finland. Encore un joli "tableau" Steve. These beautiful colors just glow here!! A nicely-framed shot of this fireweed! Magnificent painterly effect! Gorgeous colours! 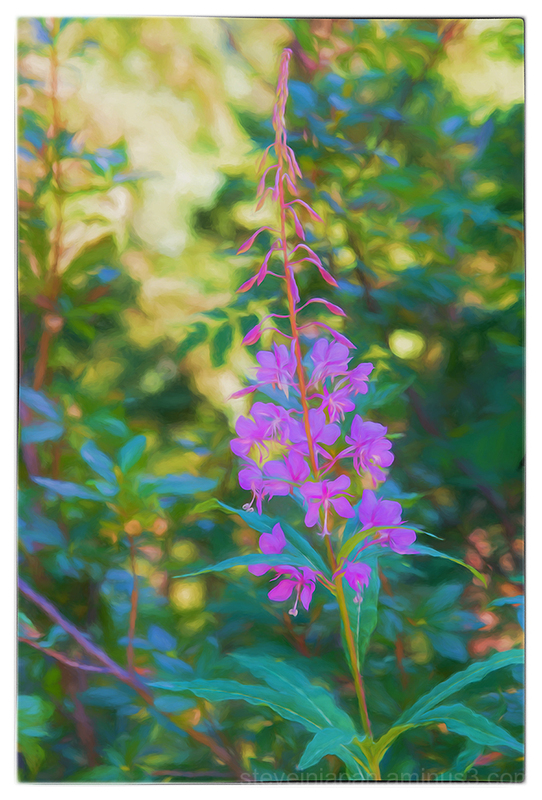 A beautiful capture or this pretty fireweed. I like the intensity of the colors in this picture. I like the soft feel and the elegant view. I like the colors and the creative filter. I love the treatment. This is just beautiful! Quelle belle plane et vue quell finesse et doucuer sueprbe ce rose. Beautiful treatment on these flowers, like a painting !